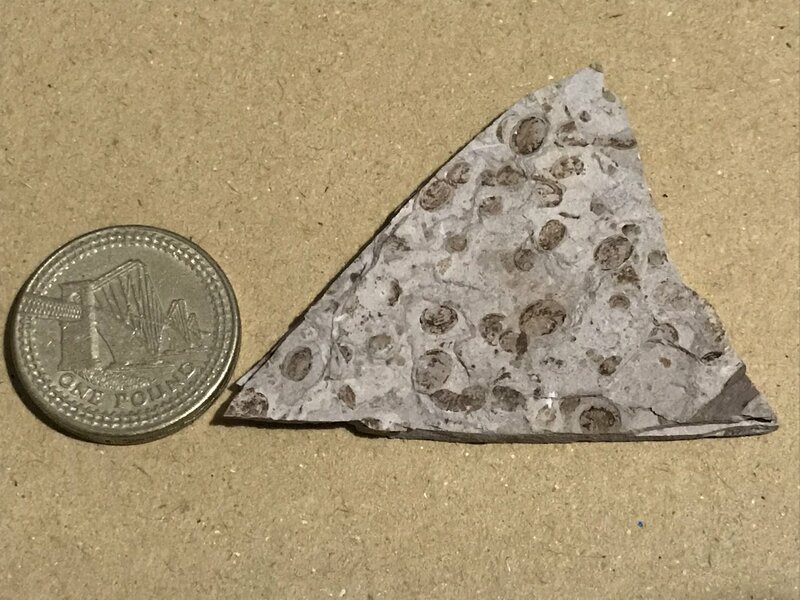 Hi folks, I received this in the mail as a bonus for one of my purchases, it's a matrix from China (browsing for similar specimens from the seller places it as from Ningcheng, China, Jurassic period). I have zero idea what it is, and wondering if the wonderful TFF folks have any indication of what it could be? 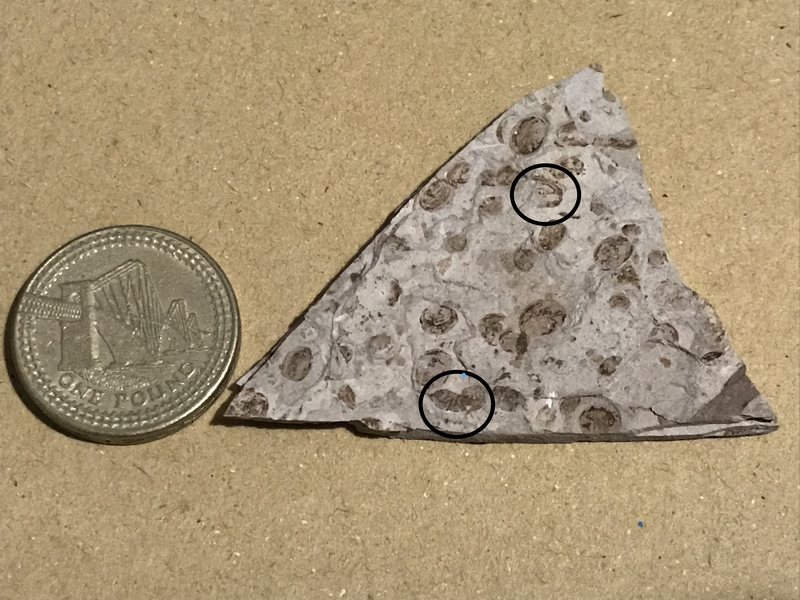 I doubt it's anything (and without a microscope, probably impossible to identify), but trying to make an attempt to label it, rather than dumping it with in my unknown bucket. Pictures are out of focus. Can not see any details. They might be conchostracans (clam shrimp). I agree with Al Dente, they are conchostracans. Pictures are out of focus, but I do agree most of them are conchostracans. Are you sure this is from Ningcheng? That region is indeed Jurassic in age, probably the Tiaojishan formation. 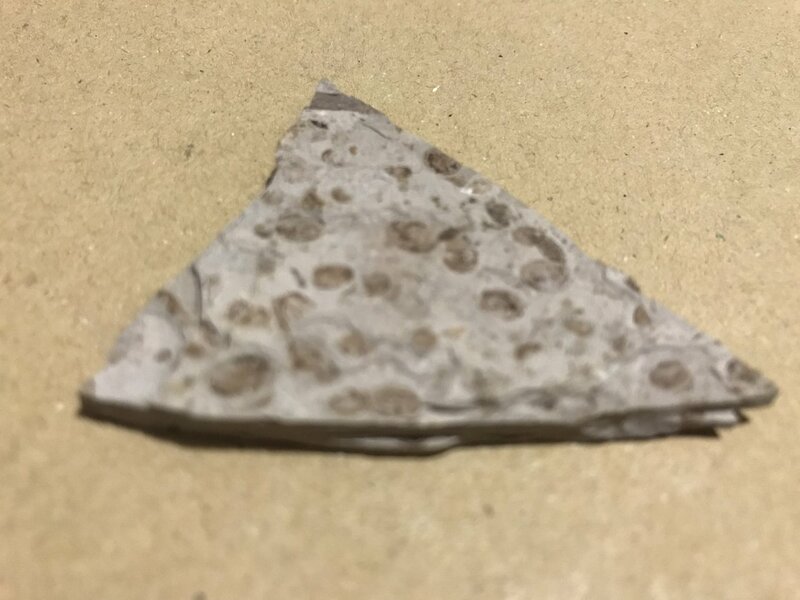 This matrix looks like it comes from the Yixian formation in Liaoning. 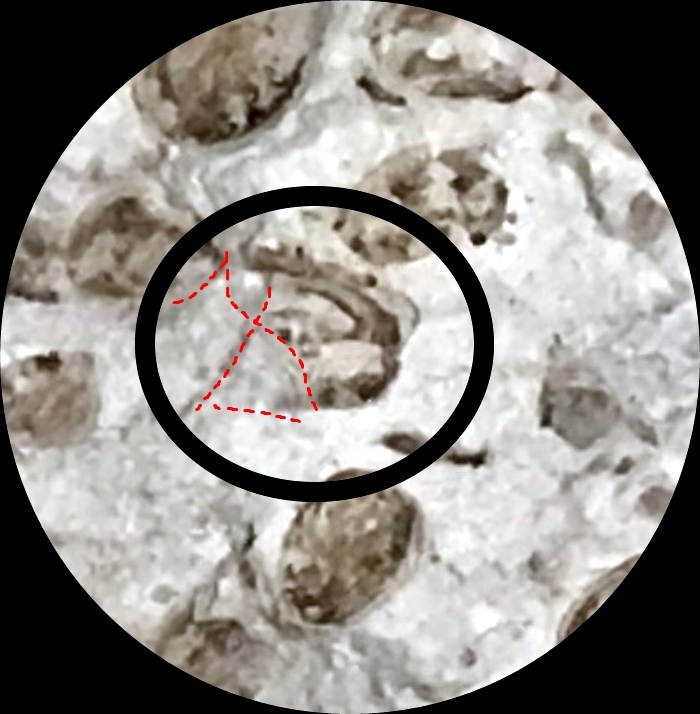 The lower circeled might be Ephemeropsis trisetalis, which is fairly common in the Aptian of the Yixian formation. The upper one isn't clear enough to see, but might be an insect part too. If not it is probably also an conchostracan. I agree with the others (man I'm always late ) conchostracans. I saw these in a museum a few weeks ago. Nice conchostracans, I have a soft spot for these guys. 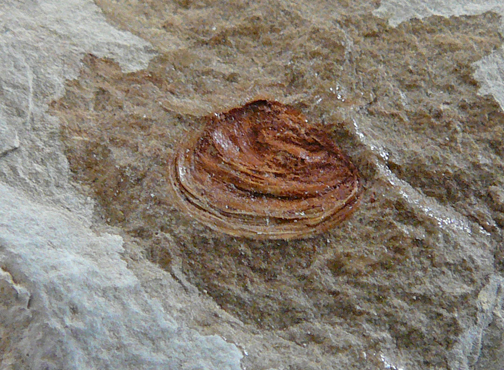 The upper one could also be a conchostracan, partially covered with matrix. The lower one doesn't seem to look like Ephemeropsis trisetalis, (on right) to me. Photo from HERE. 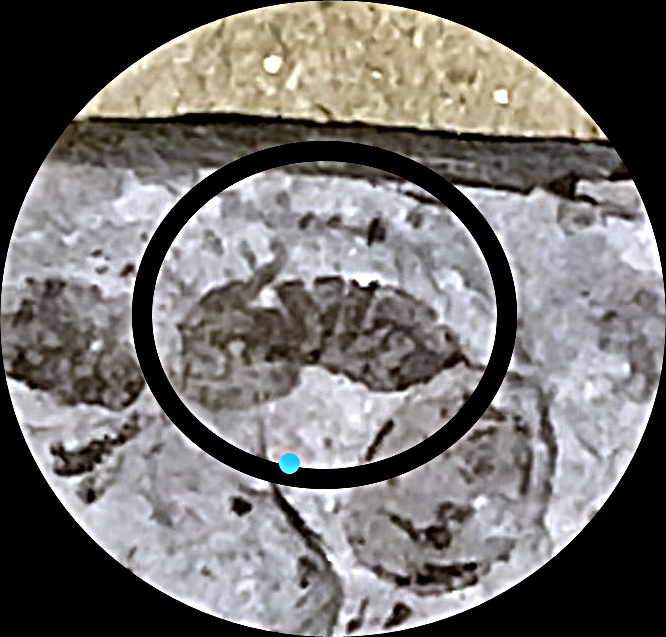 Looks like some sort of bee, or fly, although I can't make out enough of the fossil when I crop the photo. I would label that as "Insect indet."